In 2016, the United States’ dependence on foreign oil hit a 30-year low. This news may have been largely ignored by the average American, but those who remember the oil shortages in the 1970s surely recognized the significance. In 1973, OPEC, the group of (at the time) Arab nations responsible for the majority of the world’s oil production, imposed an embargo against the U.S. and several other countries for supporting Israel. This led to oil shortages and gas lines not seen since World War II. Before this, few people were thinking about the consequences of being so dependent on oil and gas imports from the major players abroad. 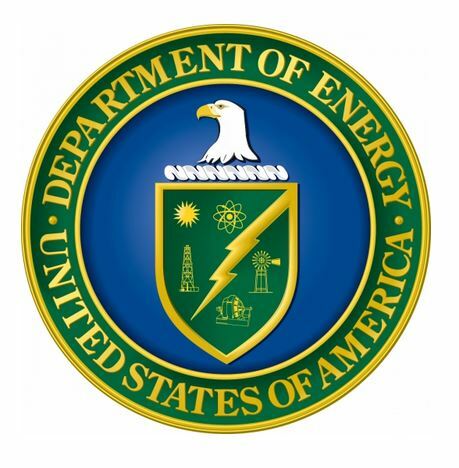 After the 1970s, American oil and gas industry leaders as well as the newly formed Department of Energy (1977) began to look into new ways to make sure this never happened again and America was never held hostage due to our dependence on foreign oil. Fast forward to 2008. The Middle East was mired in wars and, as is a typical result of turmoil in the region, oil and gas prices began to rise. America had historically focused on crude oil development, but the theory was offered that the world had reached “peak oil”, the idea that one-half of all the oil reserves worldwide had been discovered. As a result, oil production was expected to decline as alternative forms of energy were developed to replace fossil fuels. However, oil producers did not believe the peak oil theory and had something else in mind––advancing technology. Supported by higher oil prices, the oil and gas industry invested in exploring technology that could unlock oil and natural gas production from previously uneconomic areas, namely shale basins. For decades, energy producers have known about these basins –– massive, contiguous formations containing billions upon billions of barrels of untapped oil and natural gas. The key to accessing these previously unattainable hydrocarbons proved to be hydraulic fracking. Fracking wasn’t a new technology at the beginning of the 2010s. In fact, it had become a well-known method some decades earlier, but was largely disregarded because it was not economically feasible at the time. A few changes in technology led to fracking’s growth, namely a perfected fracking liquid slurry of water, chemicals, and a proppant (frac sand), plus major advances in horizontal drilling which drastically increased the production ability of a single well. Suddenly, fracking was reaching new heights. 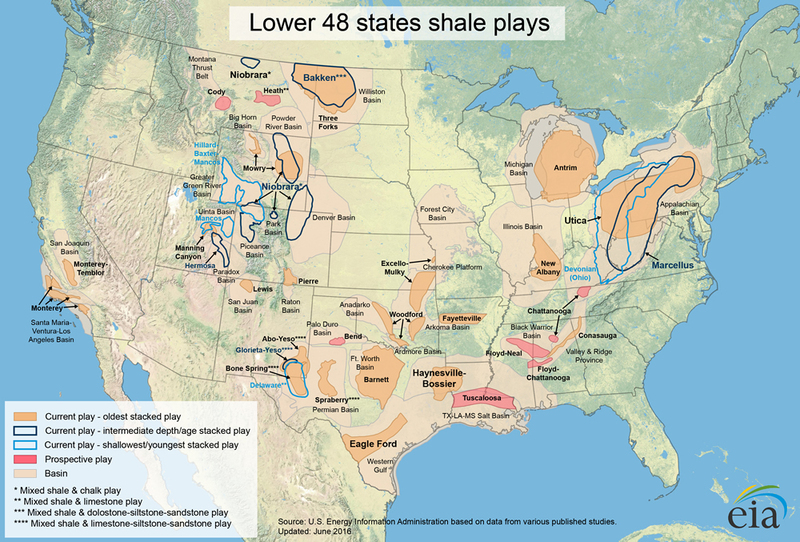 How Did Fracking Help the United States? Fracking has transformed areas into booming economies, and the strength of the oil industry was likely one of the main reasons the US did not go into a full-blown depression after the financial crisis of 2008. Although times were tough, Texas still experienced one of the strongest economies in the nation throughout the financial crisis thanks to the boom in fracking production in the Permian Basin and the Eagle Ford Shale region. Even today, acreage in the Permian is some of the most sought-after real estate in the entire world for oil production. 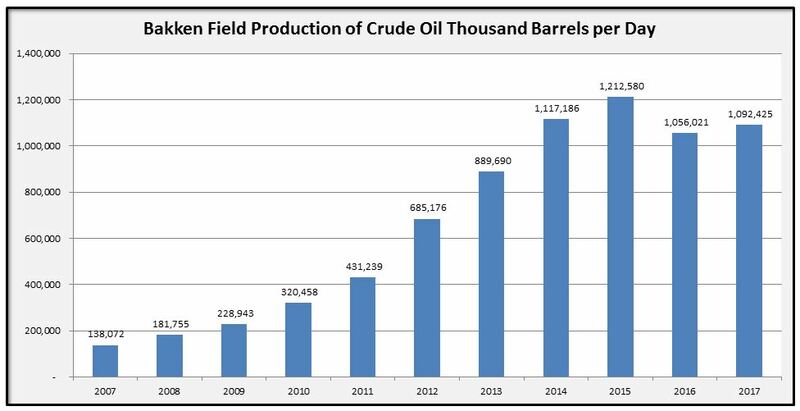 Oil production in the US portion of the Bakken Shale region went from averaging 138,072 barrels per day in 2007 to averaging a whopping 1,092,425 barrels per day in 2017 due to improvements in fracking technology. According to Energy of North Dakota, of the $3.25 billion collected in taxes in North Dakota in 2014, oil and gas production and extraction accounted for 54% of the total taxes collected in the entire state. That was an increase of 1,699 percent since 2006. According to the Brookings Institution, consumer natural gas bills dropped by $13 billion per year between the years of 2007 through 2013 as a direct result of increased fracking for natural gas. That amounts to around $200 per year in savings for natural gas-consuming households. Job losses as the result of a plant closure in Monroe County in Ohio should have devastated the county’s local budget. However, the increased fracking in the area not only filled the void in tax revenue left by the closure, tax revenues actually increased by 340 percent. Hydraulic fracturing has been a boon to local and state governments as well as to the federal government. Fracking has helped the American people with industry related jobs across the country – from geologists to engineers to rough necks to truck drivers. Gasoline prices are down as a result of fracking. I know we think that prices are high right now with the national average of around $2.86 per gallon, but remember during 2011 through 2014 when that average was closer to the $4.00 mark? Today, the United States is as close to energy independence as it has ever been. Able to undercut OPEC’s price manipulation, the U.S. has used the boost from fracking to flip the world market for oil and natural gas on its head. As of 2016, the United States was second to only Saudi Arabia in oil production and gaining fast. While OPEC still holds a large market share, fracking has allowed the U.S. to get out from under the thumb of the largest oil producers in the world. In the end, it’s clear that fracking has helped change the world, making the US oil and gas industry stronger and more competitive than ever. Thanks to this remarkable technological innovation, the United States is well on the road to not only energy independence, but towards energy dominance.